ETs Have Landed: Prepare for Contact! WELCOME TO EARTH, visitors from other planets! 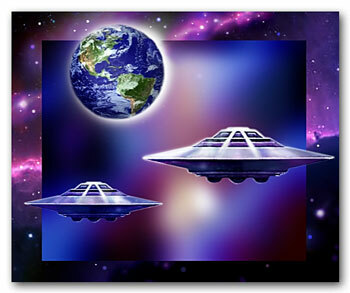 Systematically, we are being prepared for contact with our extraterrestrial brothers and sisters of the cosmos. As part of a vast planetary program, ETs have landed: literally through worldwide sightings for decades; and symbolically through a far-reaching educational plan to raise man’s consciousness for the New Age. Mankind is ready for the next giant step; now is the time to prepare for contact! To secure this contact, we must incorporate in ourselves the reality of life in our solar system. For life exists in other realms that are beyond our physical definitions and comprehension of life. Unseen to our physical space probes, spiritual life is not limited to third dimensional form. Therefore, all misunderstandings and misconceptions about life beyond Earth, including many cherished yet close-minded scientific and religious dogmas, must be rooted out if we are to free ourselves to take our next step in cosmic citizenship. The reality is this: the spiritual government of our solar system has attempted for thousands of years to unite Earth with the interplanetary council known as the Federation of Planets. A significant part of this plan involves a spiritual space program to show man that life exists beyond Earth on other planets and dimensions, and to bring him into spiritual awareness. This plan is an integral facet of a divine program to manifest love, peace and brotherhood on Earth in the New Age of Aquarius, now dawning. 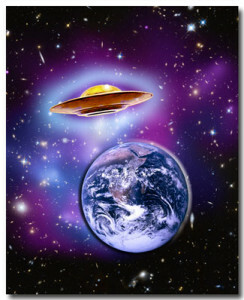 Via interplanetary visitations as well as interdimensional psychic communications, the ETs have shown that the key to cooperation and coordination with the Federation is through love in action. All planets other than Earth exchange freely their expressions and ideals with one another, much in the same way we have free interchange among the states of our United States of America. But the Earth is lagging behind the other planets of this solar system. This same type of interchange — in the respect of commerce, culture, and rights of citizenship — must be established physically with Earth during the present Latter-Day or Mark Age period, a transition period of marks and signs in the skies alerting us to a new age. This exchange and joining are being fostered now, but will not manifest fully until after the Second Coming in both its meanings: the second coming of all on Earth into spiritual or I Am awareness; and the return of the spiritual Prince of Earth, Sananda, who in his last Earth incarnation was Jesus the Christ. Operation Landing Light is the Federation’s code name for the current phase of space operations to prepare man of Earth for mass landings of spacecraft. Mass landings refer to many people seeing or knowing about them, not necessarily many spacecraft. The purpose of Operation Landing Light goes beyond promoting physical landings, contacts and exchanges. Also involved is the anchoring of light, or spiritual energies, to uplift mankind into fourth dimensional or cosmic consciousness. Yet, our extraterrestrial visitors, as citizens of the cosmos, are bound by certain spiritual principles they must follow in preparing for landings and contacts. Much of their action and planning are determined by, and dependent upon, our spiritual receptivity and manifest desire for contact. That is why it is so important for us to help create in man of Earth a loving desire for interchange with visitors from other planets. That love and desire for exchange and communion have been firmly established during this Latter-Day period, begun in 1960. ETs have landed! Close encounters with space beings have occurred in millions of lives, in every country of the world, through numerous films, television and radio shows, magazine articles and books. Subliminally and vicariously — also, safely — man of Earth has been prepared to make contact with the ETs. Positive feelings and attitudes about extraterrestrials have been stimulated within literally millions of people. More than ever before, the people of Earth desire to welcome visitors from other planets. These and many other events now have set the stage for an even greater educational push forward. You can join this new effort to promote space landings. Listen to the still, small voice within: ET is ready to phone you! 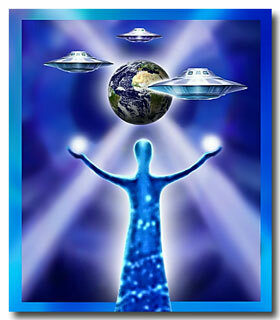 As we open ourselves spiritually to our space brothers, we become broadcasting units of light. This means we can be receivers and transmitters of spiritual energies poured through us from the higher realms to all mankind. These energies work to enlighten, to heal and to transform all souls of Earth. Our planet is in the throes of dire transmutation. We are cleansing ourselves of all that does not foster our demonstration of cosmic citizenship. Our purification begins in thought, under the direction of our I Am Self. As we unite with our I Am Self, we unite also with the divine light within all mankind of the cosmos. As light workers, we help anchor or implant the higher vibratory frequency of the New Age. 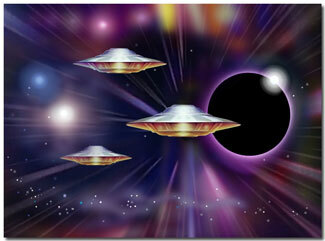 Those coming to us in their spacecraft aid in the cleansing and spiritual changes for Earth. But to help amplify and disseminate their energy projections, they need physical grounding rods. We, who choose the light, are chosen to be those grounding rods, those beacons, those broadcasting units of light. 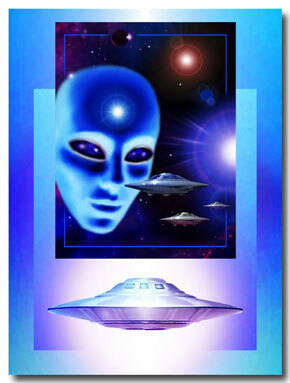 The space brothers make contact with us only through permission of our I Am Selves. They must coordinate their efforts with all aspects of our consciousness — mind, body and soul — in order to facilitate our consciousness-expansion and healing. We thus may have contact experiences on many levels other than just physical. There are a number of ways we can experience psychic or spiritual contact with space visitors; such may occur even at the same time we are having physical contact. To name just a few, these contacts include: clairvoyant visions; materializations; clairaudient information; telepathic impressions or actual messages, called channelings; out-of-body experiences, or pickup, in which our consciousness is transported into spacecraft or to other planets and/or dimensions of existence; space beams, or electromagnetic force fields, which we may feel in various parts of the body for healing or transmutation. Although such contacts may occur when we are in meditation — because we are in an especially receptive state of awareness — they also may occur in the dream state. One prime factor to remember in interpreting such dreams is to take note of your mental and emotional reactions. They can represent how you respond subconsciously to close encounters. Your dreams may give you valuable clues to your spiritual progress in welcoming visitors from other planets. With a consciousness of peace and brotherhood, our space brothers and sisters come to contact us. As equal partners with us in cosmic evolution, they feel a personal responsibility to help bring the spiritual plan to completion, so that our solar system, as one unit of Christ-aware beings, may move into the Golden Age. We are experiencing on Earth the labor pains of spiritual rebirth. We have much to learn, to apply, to accomplish. But we can do so only if we unite in spiritual purpose with our fellow beings of many planes, planets and dimensions. No longer can we shut ourselves off from life in our universe. We are co-participants in the spiritual space program. By our active participation, not passivity, we will help bring about the completion of space contacts and landings on Earth. Our desire for contact will build up a force field of spiritual receptivity that automatically will attract a response from the space visitors. This is a demonstration of the spiritual principle: like attracts like. In attunement with our Christ consciousness, we magnetically attract to us those complementary energy forces of like consciousness, desire and pure motive who will help us through the Latter-Day changes and into the birthing of the New Age. We not only need to tap this spiritual desire within ourselves, but we also are asked to stimulate a burning desire within mankind for contact with our brothers and sisters of space. We do this by broadcasting our feelings of love and brotherhood to our fellowman, and by informing them of the reality of universal brotherhood amongst all sons of God in this solar system and beyond. Thus, we stimulate desire in man by our prayers and thought projections, and by our many means of educating him and bringing this information to the forefront of his consciousness. But especially are we effective through our personal demonstrations of Christlike attitudes in our lives. If every citizen of Earth took only one minute each day to visualize the following, we truly would band together as one planetary body of light to welcome our visitors from other planets. We are one united solar system, brothers and sisters joined eternally by our love for God and one another. We see the entire solar system operating as one harmonious expression of Spirit in motion, ever spiraling upward to greater demonstrations of peace and brotherhood, and united in common cause with all fellow beings and creations in multitudinous solar systems and galaxies beyond ours. Our limitless bond is love, for we are the Son of God, one Christ body of mankind. From this expansion, we turn our love now to the Earth planet, that it be raised. We see all citizens of Earth desiring new encounters with our fellow citizens of the universe. Let it begin! Reprinted and revised from MAIN #88, September-October 1983. Photos: (1) Welcome Visitors © by Hartmut Jager. (2) Across the Veil © by Hartmut Jager. (3) Outer Space Mind Meld, Expanded © by Hartmut Jager. (4) Cosmic Interconnections © by Hartmut Jager. (5) Collage by author, with spaceship courtesy of Hartmut Jager. Thank you for this wonderful article, Phillel! I shared it today (via a link) in our PRIDE OF OLYMPUS Facebook group and am looking forward to incorporating the suggested practices in our daily routines so that we can be better citizens of the Cosmos! Thanks again and many blessings!